The cost of servitude is apparently dropping. For the second time this week, a Nintendo first party game has had its digital price slashed. 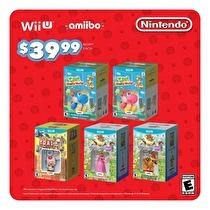 Animal Crossing: Happy Home Designer has been reduced today to US$19.99 and C$29.99, a 50/33% reduction respectively. This appears to be a permanent reduction, as the web eShop listing does not give an end date. Stay inside and plow through 150 hours of JRPG. The relationship between Deep Silver and Atlus/Sega is paying more dividends for Europe. Both 7th Dragon III: Code VfD and Shin Megami Tensei IV Apocalypse will release "Winter 2016", with both physical and eShop releases. The 7th Dragon physical release will include the art book that came with first run copies in North America, while there is no word about the SMTIVA launch edition. But if you need to settle it in Smash with a tournament, it can still be organized. Nintendo is getting out of the tournament organization game for Super Smash Bros on Wii U. A notice posted on the Japanese support website indicates that the "Regular Tournaments" function will end service on September 30. The "Regular Tournaments" option allowed for tournaments to be set up by Nintendo, but the option to create your own tournament will still be available. And rewards scheduled to change tomorrow. Heavy eShop buyers with My Nintendo accounts can be a little bit more patient. The site updated today to announce that Gold coins, the credit earned from eShop purchases, will now expire 12 months after they are earned. Previously, both Gold and Platinum (website use and Miitomo) coins expired after six months and the Platinum time limit is not changing. The first game has been announced from one of the Renegade Kid successor studios. Atooi, the 2D-focused successor company, has announced Chicken Wiggle for the 3DS eShop and iOS. The game features a chicken who uses a worm as a multi-tool to navigate 2D levels. Chicken Wiggle will also feature its own level creation tool and a community hub. Level creators will be able to set different rules and provide "custom hints". There may be conflicting information on the end date, so assume a week. Capcom has thrown their second major sale of the year on the North American eShop. Similar to a sale back in May, most of the company's digital catalogue is greatly reduced in price - in some cases by up to 75%. Although Nintendo's website listing for the sale indicates an end date of September 9, the on-device eShops are showing September 6. This portable is about to get biz-zay. The next Nintendo Direct will kick off September, with a focus on the 3DS. The video will air at 10am Eastern time (7am Pacific). 1500 BST, 1600 CET and 2300 JST on Thursday. According to Nintendo of America, "NX will not be discussed or revealed in this broadcast" while Nintendo of Australia has also confirmed no mobile news. Getting ahead of some upcoming bundles. Although they'll be coming in bundle form soon, some Wii U retail games have had their price reduced on the NA eShop effective today. Captain Toad Treasure Tracker, Mario Party 10 and Yoshi's Woolly World are all now showing prices of US$29.99 or C$39.99. This is a $10/$5 drop for Captain Toad, and a $20 drop for Woolly World and Mario Party 10. 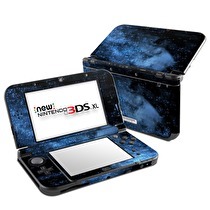 Following the release of Federation Force and a faceplate compatible New 3DS, Nintendo of America is launching an intergalactic New 3DSXL. The "Galaxy" or "Milky Way" design is shipping to stores now, according to the announcement made by Nintendo of America president Reggie Fils-Amie on the company's Twitter account. The new design will retail for the same $199.99/$249.99. A clean division of existing properties will follow. 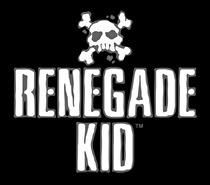 After a decade of operation, the Renegade Kid partnership has been dissolved. From August 25 to 31 we're running a giveaway on Twitter for a Custom Midna Amiibo and other prizes! Enter to win a Custom Midna Amiibo figure by modeler Zanarkandsky, or nab an Official Nintendo Animal Crossing Amiibo figure! Follow the @Nintendo_NWR account on Twitter Follow the @Zanarkandsky account on Twitter Send out a tweet including the hashtag #ShouldBeAnAmiibo and who YOU think should be an amiibo! This week's releases awfully loud? They glide as softly as a cloud. Following last week's release schedule that nearly broke this space, it's a much needed week of rest and relaxation. The eShops pick up a couple of interesting looking items including the latest effort from Nnooo - The Legend of Kusakari, a grass cutting Zelda-like. Also, Kickstarted title Armikrog hit Wii U already this week, and North America sees the next round of Nintendo Selects kick in tomorrow. The summer might be ending, but indie developers will keep the summer jams flowing on Nintendo consoles. Nintendo announced the "#Nindies Summer Jam" today, with a major eShop game releasing every week on either Wii U or 3DS. The developers will also show behind-the-scenes video and show their favorite games available on Nintendo systems, and their games will be offered for 10% off during the launch week. You'll be able to take the fun with you wherever you go. 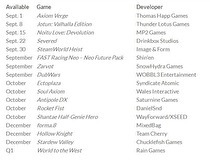 The next new project from 13AM Games will be a throwback with a modern release plan. 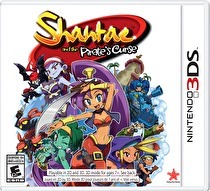 Although the studio is currently in the process of porting Runbow to New 3DS, in an interview at Gamescom with Nintendo World Report's Daan Koopman they confirmed that their first game as solely a publisher, Pirate Pop Plus!, will be a crossbuy game on Wii U and New 3DS. An all-star roundtable reconfirms the major Japanese hit. Yuji Horii has reconfirmed Dragon Quest XI will see an NX release, and probably very soon into the system's life. One brand new, three we knew about from Japan. The latest Pokémon Sun and Moon trailer was released today to coincide with the opening of the 2016 World Pokémon Championships, and revealed a brand new Pokémon and three localizations. Operation "get people to buy Nintendo games because of mobile" appears to be working. Although the full report won't be out until Monday, Nintendo has released some figures about July's game sales in the United States which show a major halo effect from Pokémon Go. 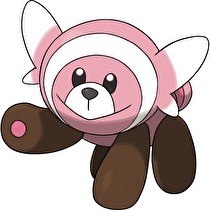 Get to stepping Torkoal, there's a new sheriff in town. Gamescom has brought a new Pokémon to Sun and Moon. 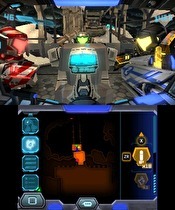 Turtonator was revealed during a livestream with game producer Shigeki Morimoto. 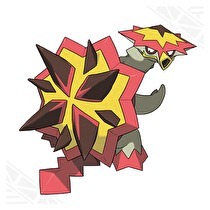 It is a bipedal turtle-like creature with Fire and Dragon types and the unique move Shell Trap, which causes major damage if Turtonator is struck by a physical attack. 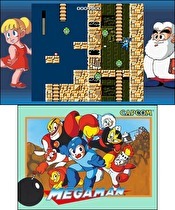 Mario, Zelda, Shantae and other great heroes are out in force. Will you join a federation or run a shop? With two major retail games hitting in 2016 Game of the Year Metroid Prime Federation Force and the long-awaited Style Savvy: Fashion Forward, this week was going to be busy enough. But the quantity is there to back it up as there are no less than 13 eShop titles this week for North America.